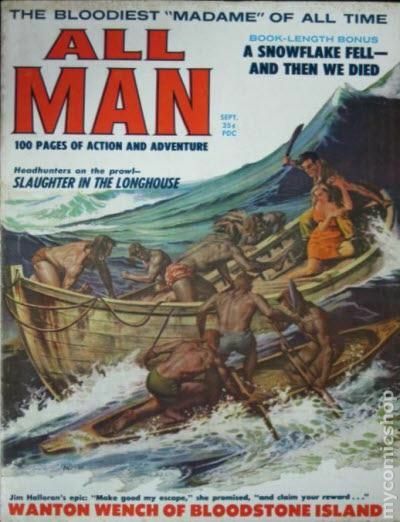 Published Mar 1959 by Stanley Publications. 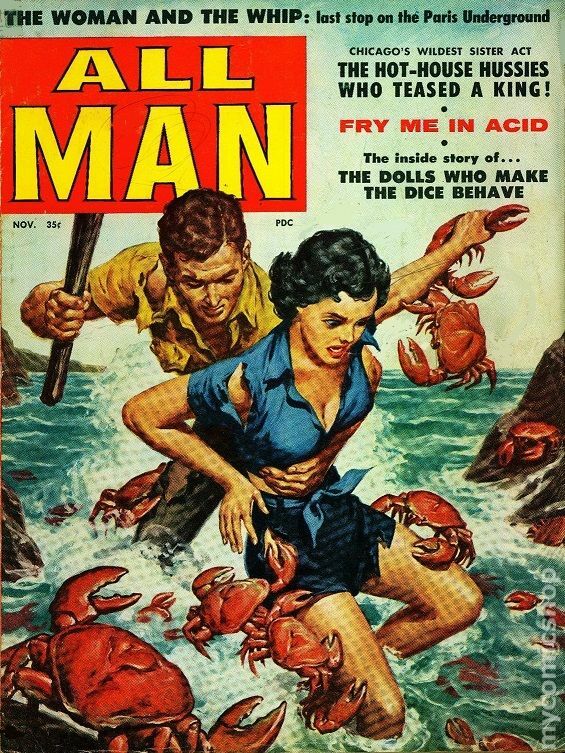 Published May 1959 by Stanley Publications. 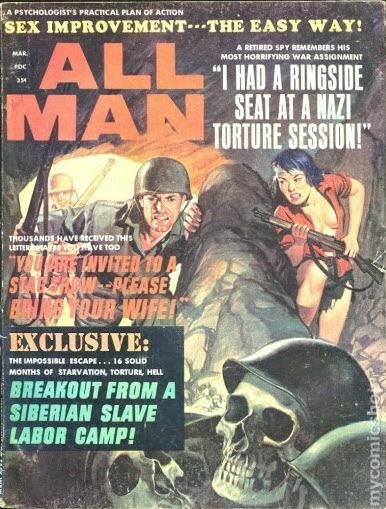 Published Jul 1959 by Stanley Publications. 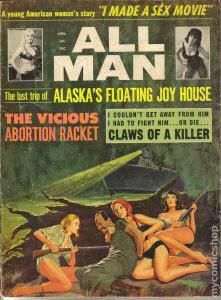 Volume 1, Issue 3 - July 1959. 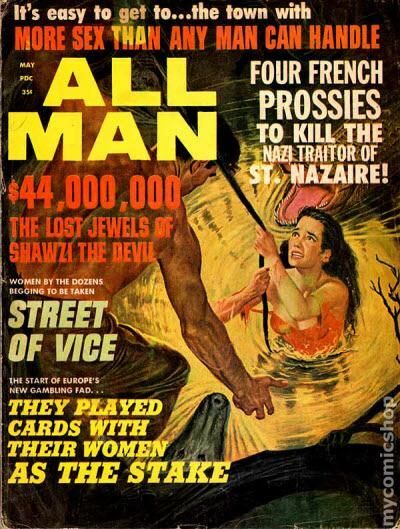 Vintage Men's magazine featuring pin-ups, adventure stories, and true crime articles. "The Night the "Virgin Queen" Was Wrecked", "Vengeance of the Bush Devil", and "Dream Cars of Tomorrow!" 8 1/2-in. x 11-in., 74 pages, B&W Cover price $0.35. Published Sep 1959 by Stanley Publications. Published Oct 1959 by Stanley Publications. Published Nov 1959 by Stanley Publications. 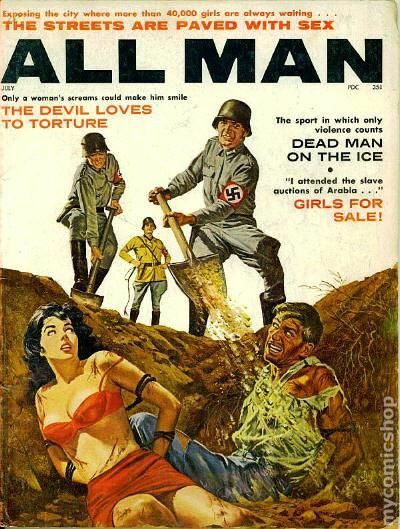 Volume 1, Issue 6 - November 1959. 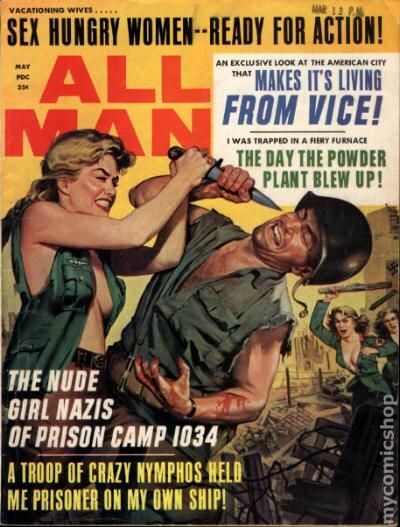 Vintage Men's magazine featuring pin-ups, adventure stories, and true crime articles. 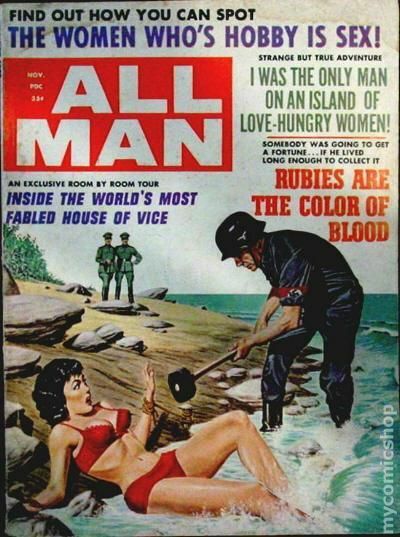 "The Hothouse Hussies who Teased a King", "Fry Me in Acid", and "The Dolls Who Make the Dice Behave!" 8 1/2-in. 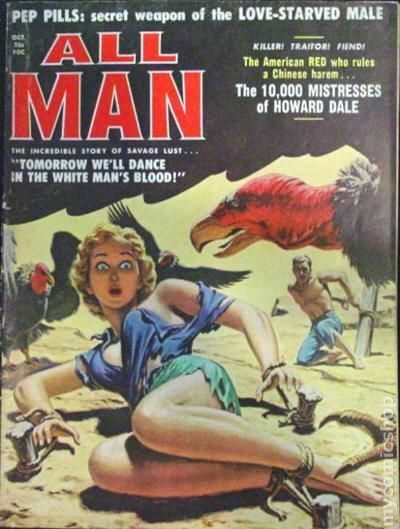 x 11-in., 74 pages, B&W Cover price $0.35. Published Dec 1959 by Stanley Publications. 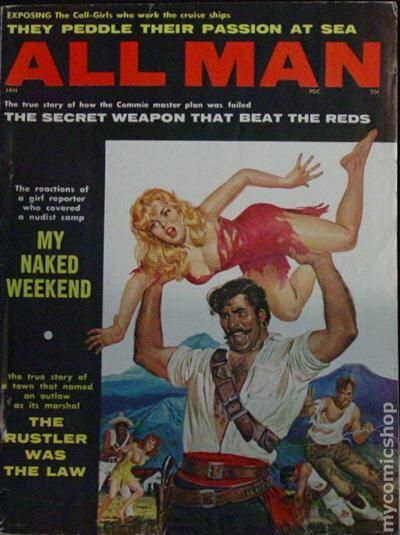 Published Jan 1960 by Stanley Publications. Published Feb 1960 by Stanley Publications. 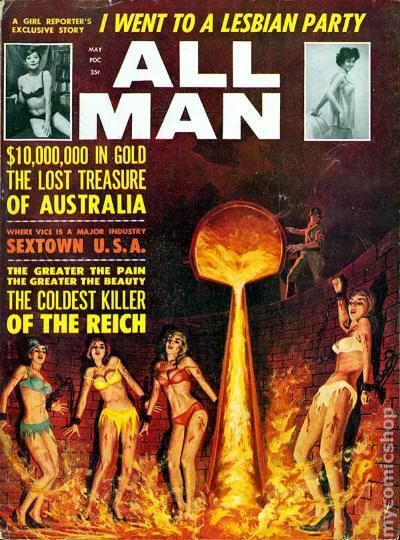 Volume 1, Issue 9 - Feburary 1960. 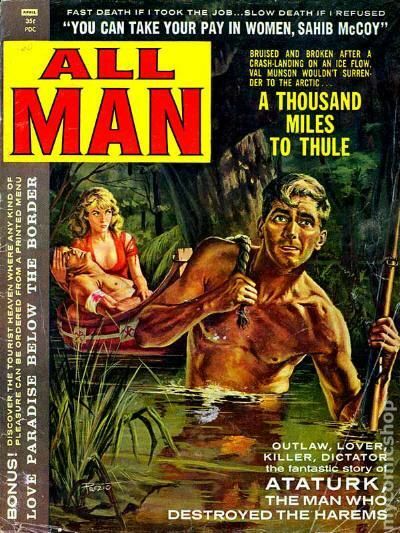 Vintage Men's magazine featuring pin-ups, adventure stories, and true crime articles. "I married a stripper! "8 1/2-in. x 11-in., 76 pages, B&W Cover price $0.35. 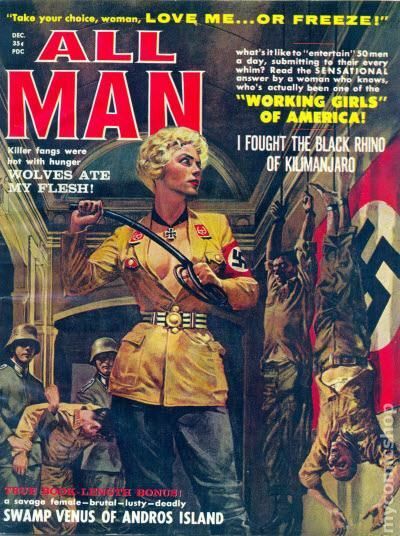 Published Apr 1960 by Stanley Publications. Published Jun 1960 by Stanley Publications. 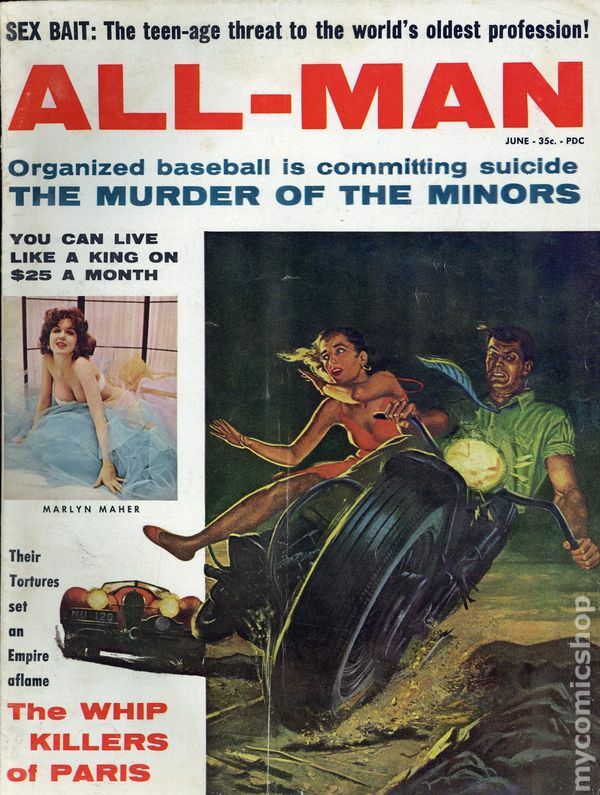 Volume 1, Issue 11 - June 1960. 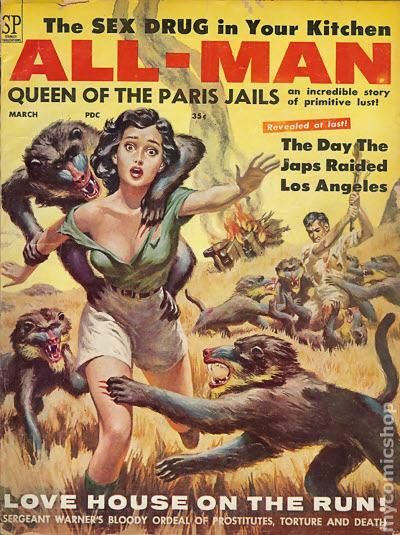 Vintage Men's magazine featuring pin-ups, adventure stories, and true crime articles. 8 1/2-in. x 11-in., 76 pages, B&W Cover price $0.35. Published Sep 1960 by Stanley Publications. Published Nov 1960 by Stanley Publications. 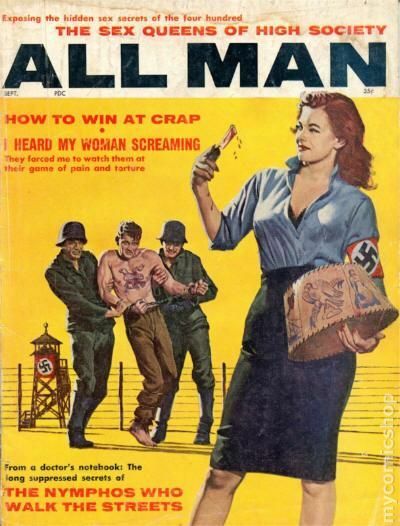 Published Jan 1961 by Stanley Publications. Published Mar 1961 by Stanley Publications. Published May 1961 by Stanley Publications. Published Jul 1961 by Stanley Publications. Published Sep 1961 by Stanley Publications. Published Nov 1961 by Stanley Publications. Published Jan 1962 by Stanley Publications. Published Mar 1962 by Stanley Publications. Published May 1962 by Stanley Publications. 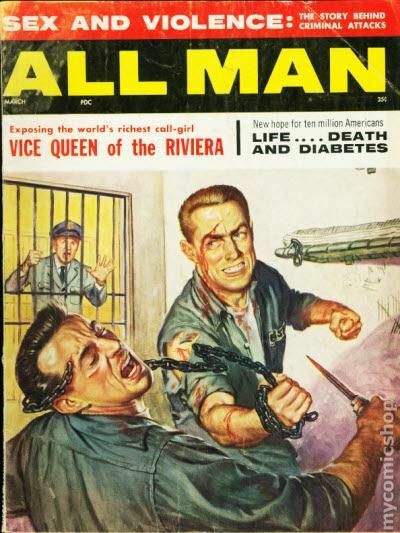 Volume 3, Issue 4 - May 1962. 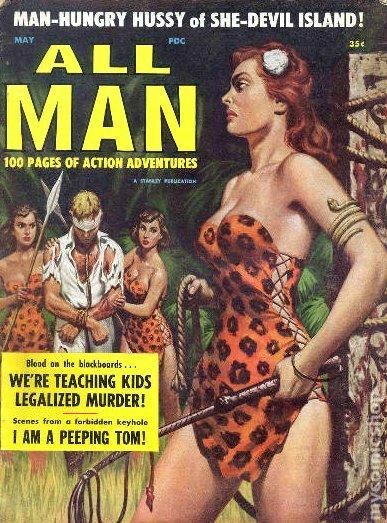 Vintage Men's magazine featuring pin-ups, adventure stories, and true crime articles. 8 1/2-in. x 11-in., 76 pages, B&W Cover price $0.35. Published Jul 1962 by Stanley Publications. Published Sep 1962 by Stanley Publications. Published Nov 1962 by Stanley Publications. 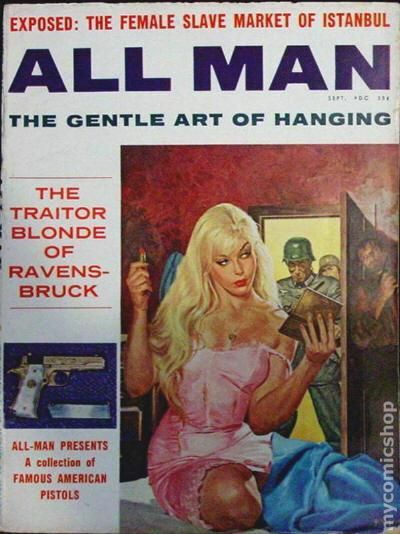 Published Jan 1963 by Stanley Publications. Published Mar 1963 by Stanley Publications. Published May 1963 by Stanley Publications. Published Jul 1963 by Stanley Publications. Published Sep 1963 by Stanley Publications. Published Nov 1963 by Stanley Publications. Published Jan 1964 by Stanley Publications. 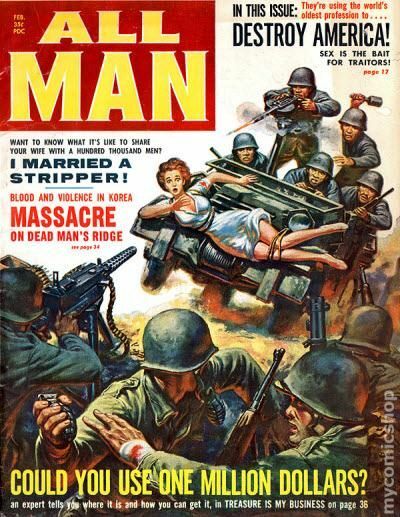 Published Mar 1964 by Stanley Publications. 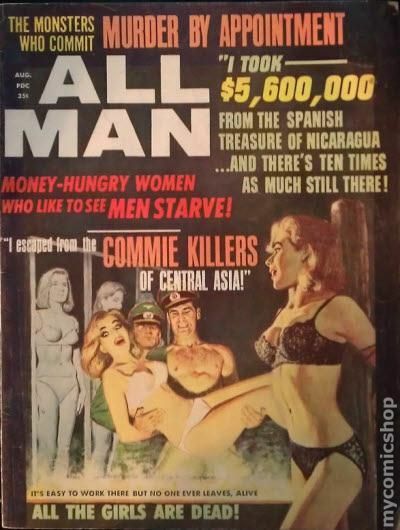 Published Apr 1964 by Stanley Publications. Published May 1964 by Stanley Publications. Published Jul 1964 by Stanley Publications. Published Aug 1964 by Stanley Publications. Published Sep 1964 by Stanley Publications. Published Nov 1964 by Stanley Publications. Published Dec 1964 by Stanley Publications. Published Jan 1965 by Stanley Publications. Published Mar 1965 by Stanley Publications. 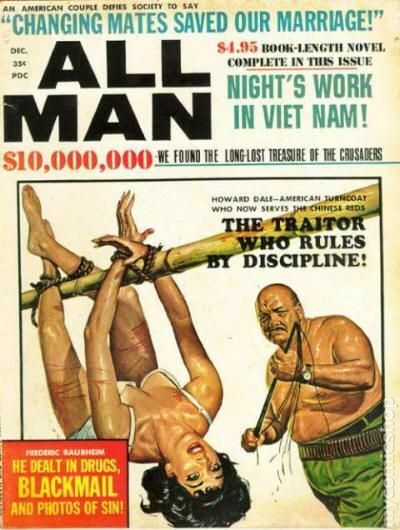 Published Apr 1965 by Stanley Publications. 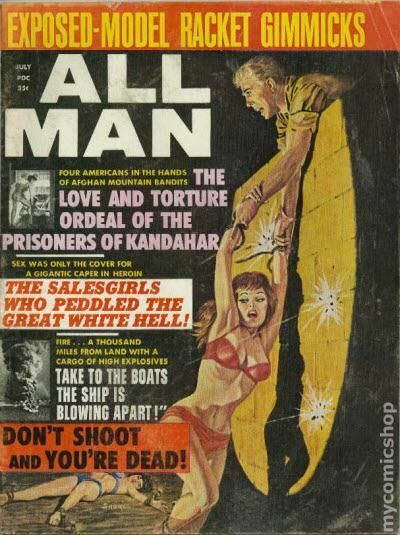 Volume 6, Issue 2 - April 1965. 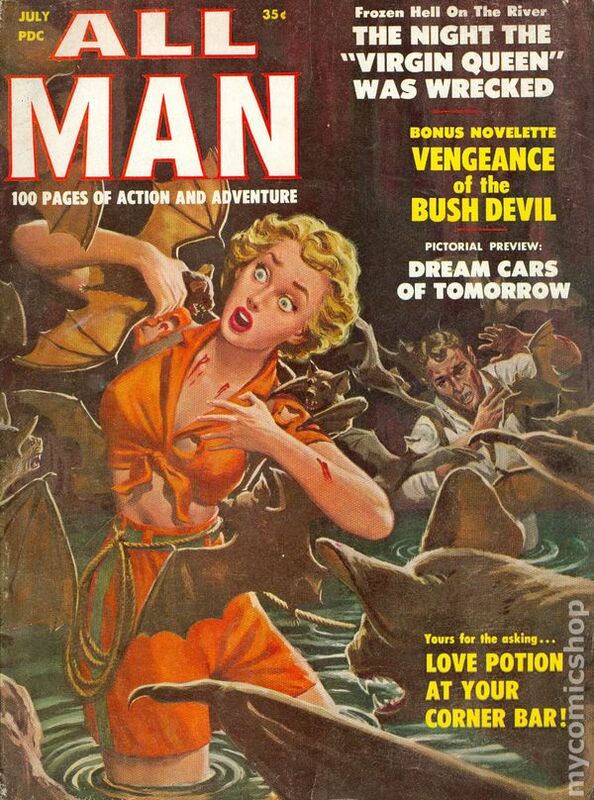 Vintage Men's magazine featuring pin-ups, adventure stories, and true crime articles. 8 1/2-in. x 11-in., 74 pages, B&W Cover price $0.35. Published May 1965 by Stanley Publications. 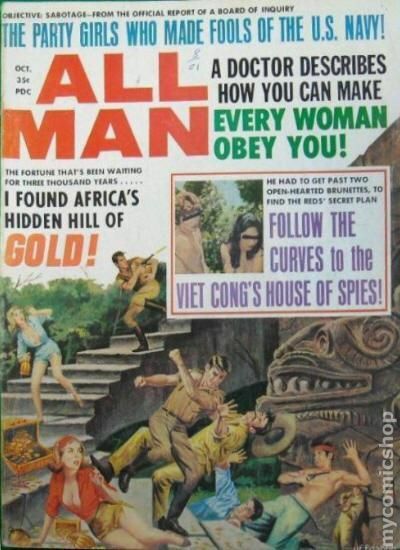 Published Jul 1965 by Stanley Publications. Published Dec 1965 by Stanley Publications. Published Mar 1966 by Stanley Publications. 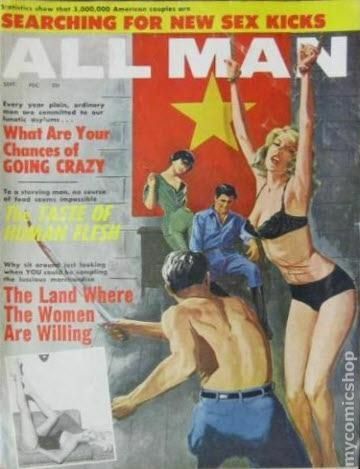 Volume 7, Issue 1 - March 1966. 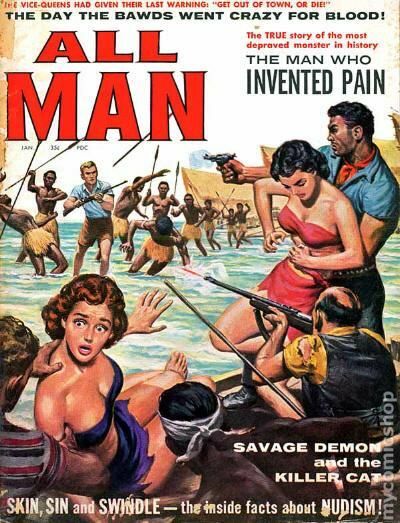 Vintage Men's magazine featuring pin-ups, adventure stories, and true crime articles. 8 1/2-in. x 11-in., 74 pages, B&W Cover price $0.35. Published Apr 1966 by Stanley Publications. Published May 1966 by Stanley Publications. 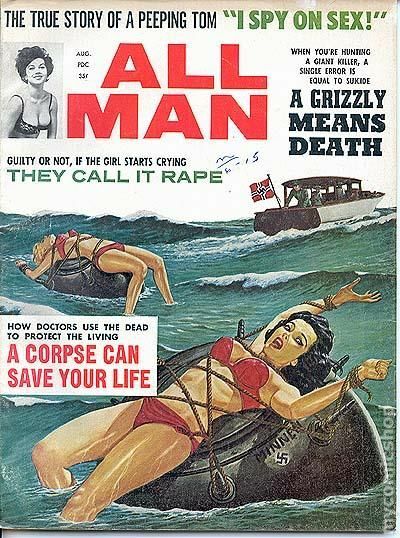 Published Jul 1966 by Stanley Publications. Published Aug 1966 by Stanley Publications. Published Oct 1966 by Stanley Publications. Published Nov 1966 by Stanley Publications. Published Dec 1966 by Stanley Publications. Published Feb 1967 by Stanley Publications. 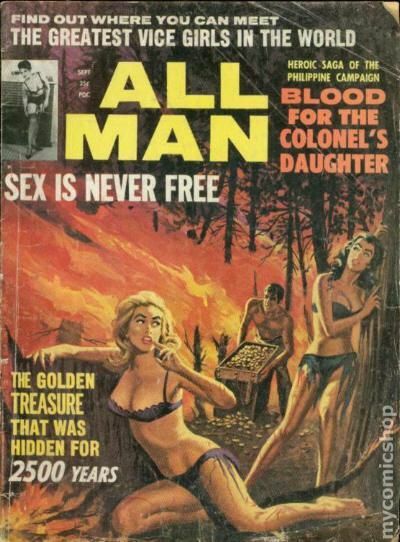 Published Apr 1967 by Stanley Publications. Published May 1967 by Stanley Publications.